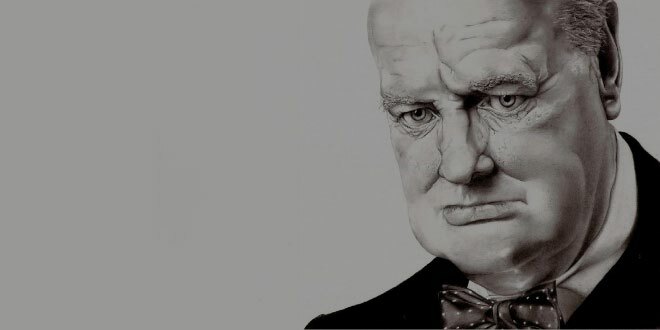 Home » Kids Questions & Answers » Education & Reference Questions & Answers » Why is Winston Churchill’s speech known as the ‘Iron Curtain speech’? In the “Iron Curtain speech” Winston Churchill drew attention to the fundamental split in Europe between the Eastern Bloc and the West, though at that stage (March 1946) there were no formal alliances. He had a fear of another world war that involves fighting against the communist regime and that the so called iron curtain is blocking some of the countries connection to the western countries because of the communist terror. Truman and many other U.S. officials warmly received the speech. Already they had decided that the Soviet Union was bent on expansion and only a tough stance would deter the Russians. Churchill’s “iron curtain” phrase immediately entered the official vocabulary of the Cold War. U.S. officials were less enthusiastic about Churchill’s call for a “special relationship” between the United States and Great Britain. While they viewed the English as valuable allies in the Cold War, they were also well aware that Britain’s power was on the wane and had no intention of being used as pawns to help support the crumbling British empire. In the Soviet Union, Russian leader Joseph Stalin denounced the speech as “war mongering,” and referred to Churchill’s comments about the “English-speaking world” as imperialist “racism.” The British, Americans, and Russians-allies against Hitler less than a year before the speech – were drawing the battle lines of the Cold War. Previous What’s the story behind Subhash Chandra Bose and Hitler’s secret Indian army?